We were on our way to the local library to get the next installment to the Mortal Instruments series by Cassandra Clare. Both kids read the first three books (City of Bones, City of Ashes, and City of Glass) and now, they wanted to borrow the remaining three (City of Fallen Angels, City of Lost Souls, City of Heavenly Fire). My 8-year old is already planning on how to solve the problem of who will get first dibs in the event that there is only one copy available. They agreed that the hand game is the best way to settle the problem. The library had two copies of Book#5, but only one of Book #4, and no Book#6. They checked out the three books, and just for good measure, included a couple of graphic novels and a book that was in the library’s suggested readings. It was a long weekend afterall. By the time we got home, Jack en Poy was shelved and a coin toss was now the preferred method to settle their book dilemma. Jack en Poy is fun and entertaining, but there is a lot at stake and I wouldn’t hear the end of it if one suspected the other of peeking and changing the hand gesture at the last moment. So, I fully supported the switch. I was commissioned to toss the quarter, catch it, and then flip it on my hand. Heads would mean my 10-year old son reads it first. Unfortunately for my daughter, she lost the coin toss. But fortunately for her, she didn’t have to wait very long. Her ahiya reads fast and was able to give her the book by lunchtime. 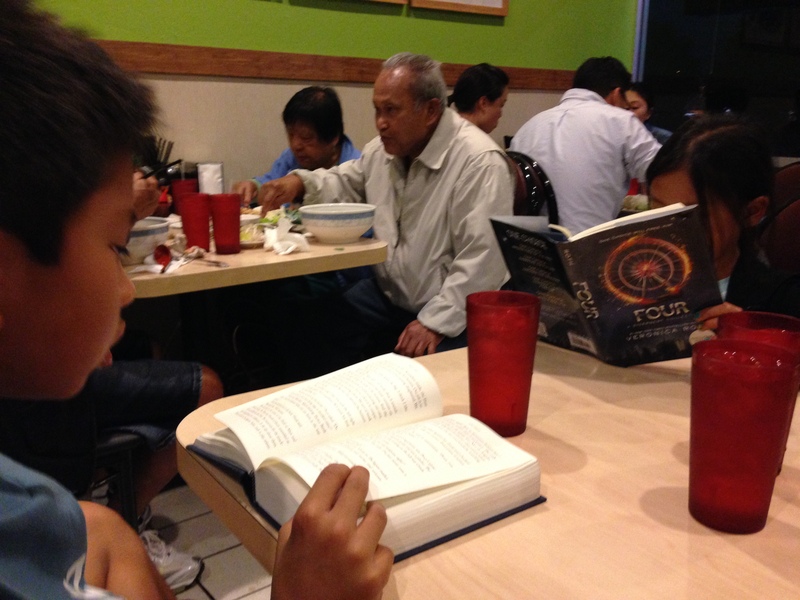 By dinnertime, they were in their rooms with their own copy of the next book. Posted in A Mother's Narrative, Filipino Parenting and tagged ahiya, books, jack en poy, reading. Bookmark the permalink. When I taught first grade ten years ago, I had a Listening Center in my classroom. I had a tape deck, 6 earphones, and multiple sets of first grade books in one cozy corner. 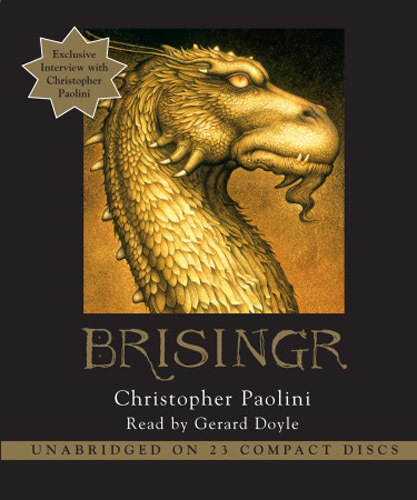 I knew that a struggling reader would benefit from listening to an audio book. As the story is read aloud, a struggling reader would be able to concentrate on making the story come to life without being bogged down with decoding words. In a way, an audio book levels the field for all readers because struggling and advanced readers alike can listen together–something that would be impossible to do if an unskilled reader were left to read a challenging book on his own. 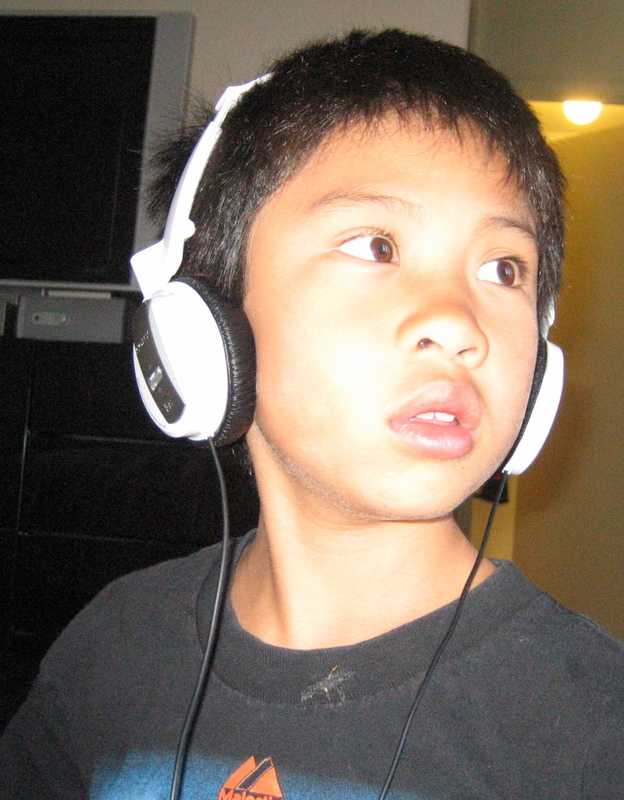 My children have listened to numerous audio books—Harry Potter, Percy Jackson series, Magic Tree House, The Inheritance Cycle, the list goes on. Our very first audiobook was played in the car on our way to Disneyland. 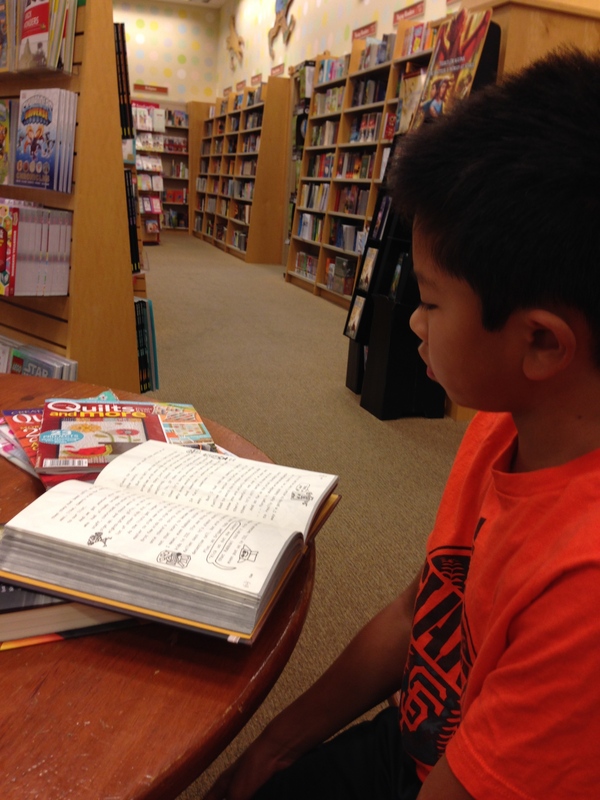 Although my children have always been confident readers, I found that listening to audiobooks made them even better readers, not to mention story writers. My six-year old uses phrases like subtle whisper, frantically searching, and slow pace in her writing. These words I know she picked up from reading because we don’t use these words in our everyday conversation. 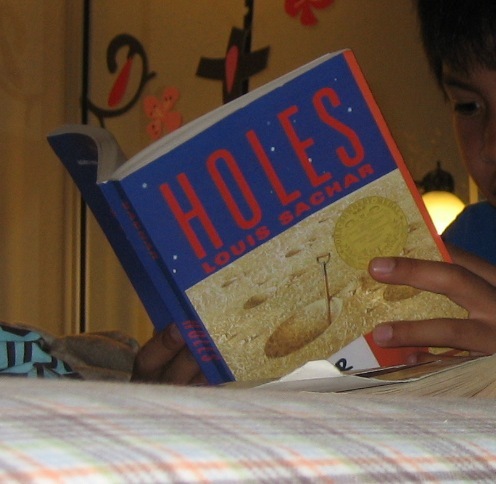 Not only does the audiobook help struggling readers, but also widens vocabulary. My daughter listens and engages her older brother in discussions of books that she may not necessarily read on her own. She now appreciates books that more savvy readers read. I was worried that when they discovered audiobooks that they will stop reading on their own. On the contrary, they developed an even more insatiable appetite to read independently. Sometimes, they even choose to read books that they have already listened to because they like it so much. 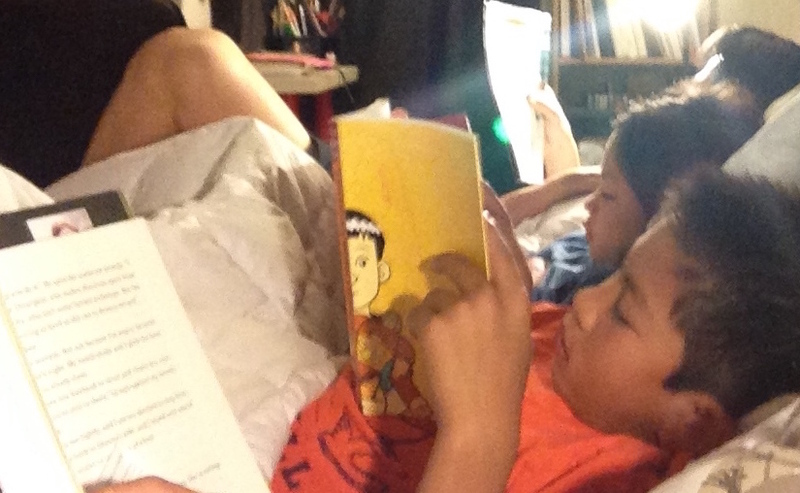 The best benefit of an audiobook for me is listening with my children. Since we listen to the story in the car, we have mini book club discussions on our way to school. 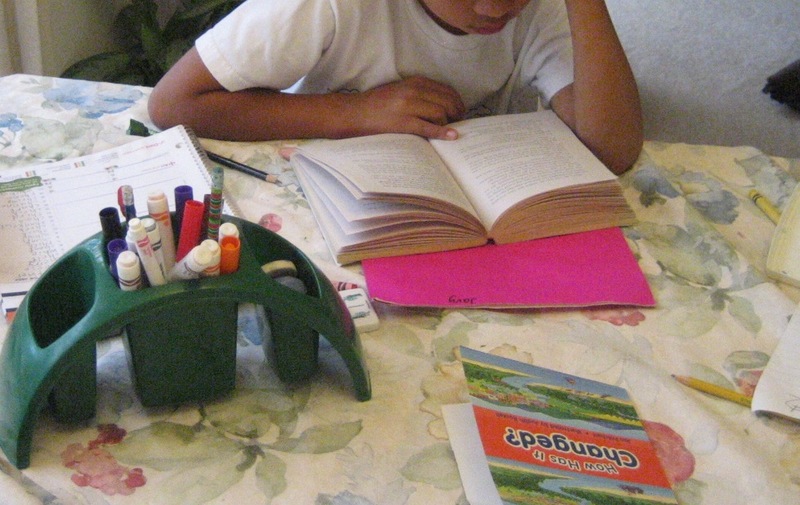 Posted in Filipino Parenting, Tina's Classroom and tagged benefits of audiobook, books, confident readers, family, homeschool, listening to audiobook, parenting, reading. Bookmark the permalink. I am now writing in the library while my kids, 8 and 6, are going crazy over the books that they can borrow. They love books and take very good care of them, but their appetite to read is insatiable that if I were to buy every book that they fancied, we would quickly run out of space. Instead we go to a public library to stock up on books. 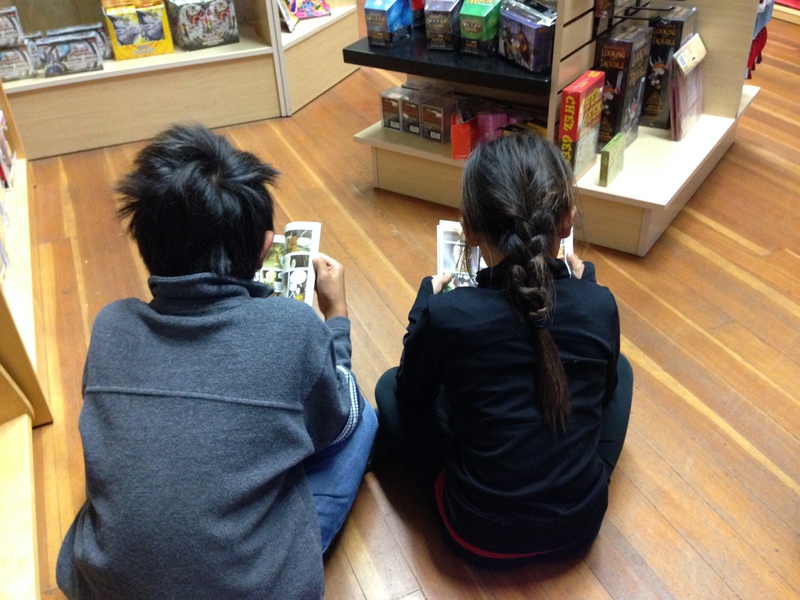 I direct them to the children’s area, and recently, to the graphic novels section for their book selection; I do not discourage them from reading books that are thick or have no pictures. They choose books they can read by themselves, books that they want to be read aloud to them, and even books that are way too easy for them. It amazes me that they honestly derive pleasure from reading books because I was never that kind of a reader. When I was in school, most of the books I read were assigned readings. 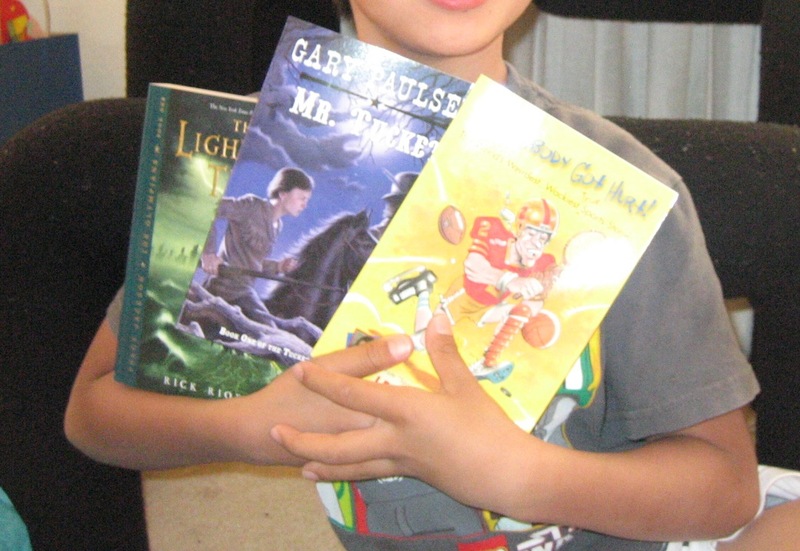 My children love reading books now because I made a conscious effort to promote reading. My husband and I were determined to cultivate their love for reading. 1. 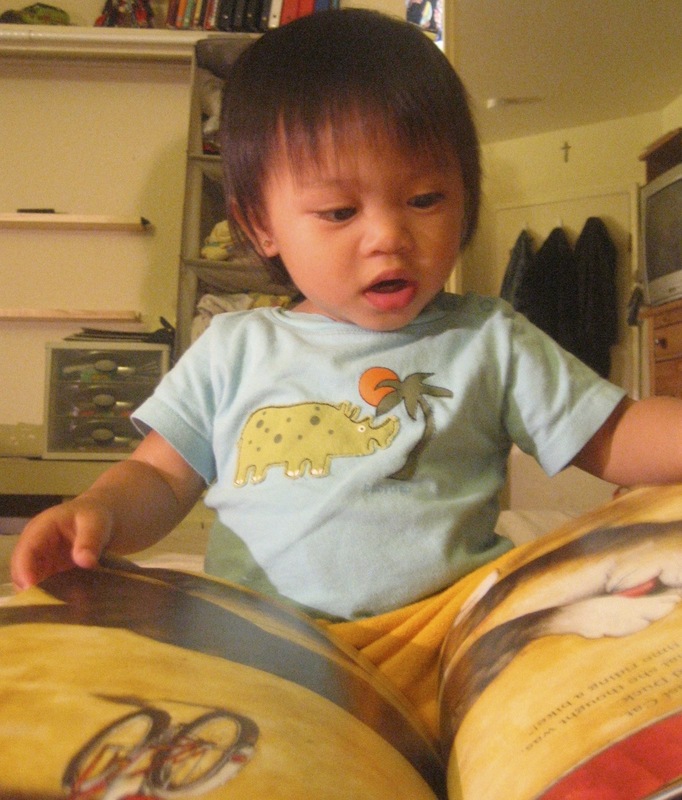 Start reading early and read often. Yes, even if it is the same book over and over again (and, even if you think the child is not understanding the story). 2. Spend time in libraries. Borrow books that you think would interest them. Do not veto a book just because you think it is too thick or too hard to understand. Look for books with topics that appeal to them. 3. Give books as prizes. 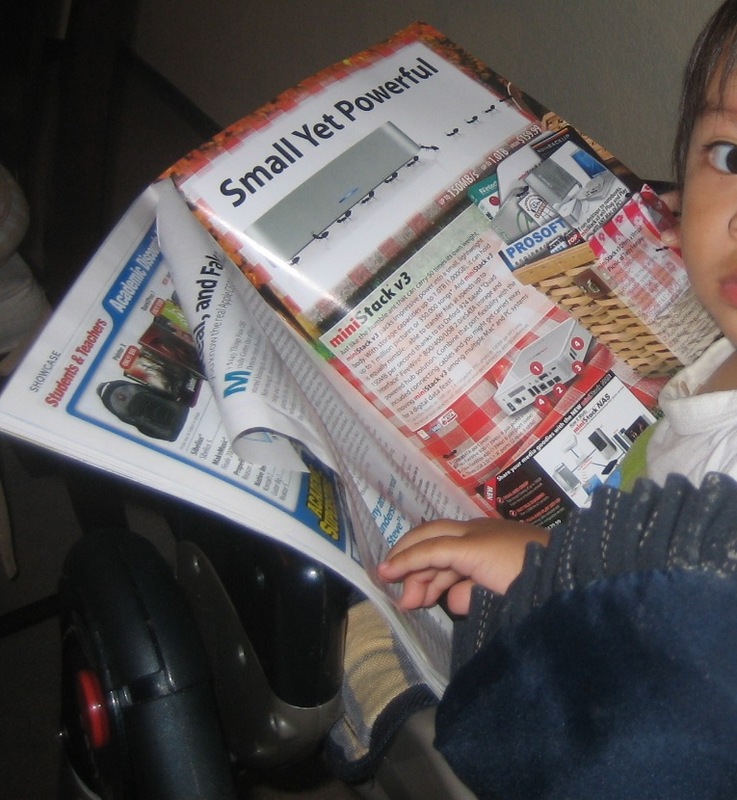 It shows how much you, the parent, value reading. 4. Model reading. A grown up has to model reading (in our case, my husband did). 5. Limit screen time. Regulate watching TV and playing with video games. And always have an abundant supply of books—chapter books, fiction, non-fiction, picture books, mystery, science, comics, etc. 6. Listen to audio books. 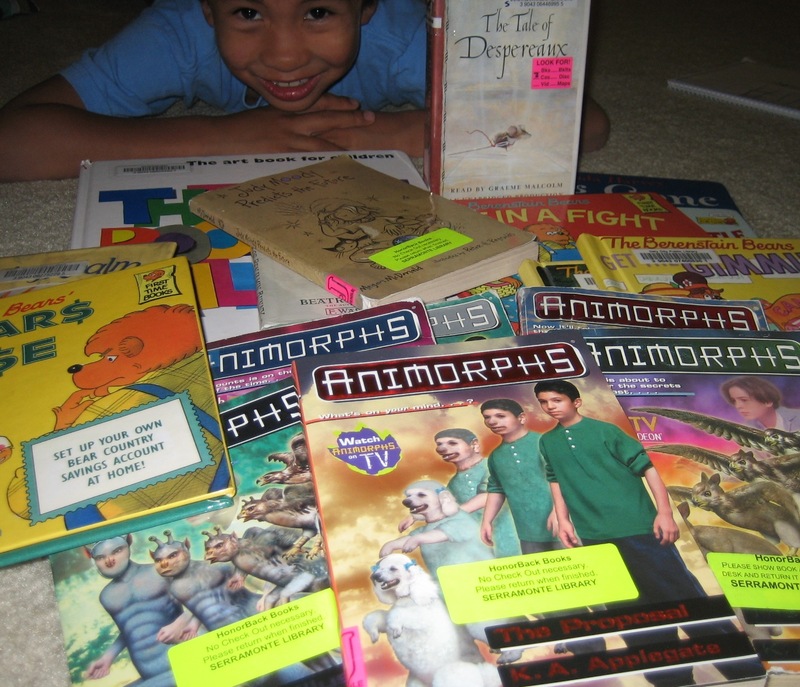 Posted in Filipino Parenting and tagged books, family, homeschool, parenting, reading. Bookmark the permalink.